Home/Personal, Productivity/Weeks to Live: Motivational? If you knew how many weeks you had left to live, would it motivate you to accomplish your goals? Would you be stressed at the perceived time left? I read a post at Reddit titled “made for myself, thought of you. Weeks left perspective“. 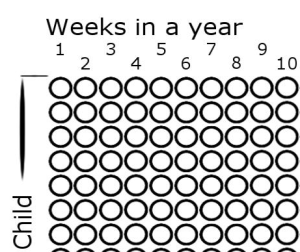 The article shows an image with circles for each week you’ve lived. 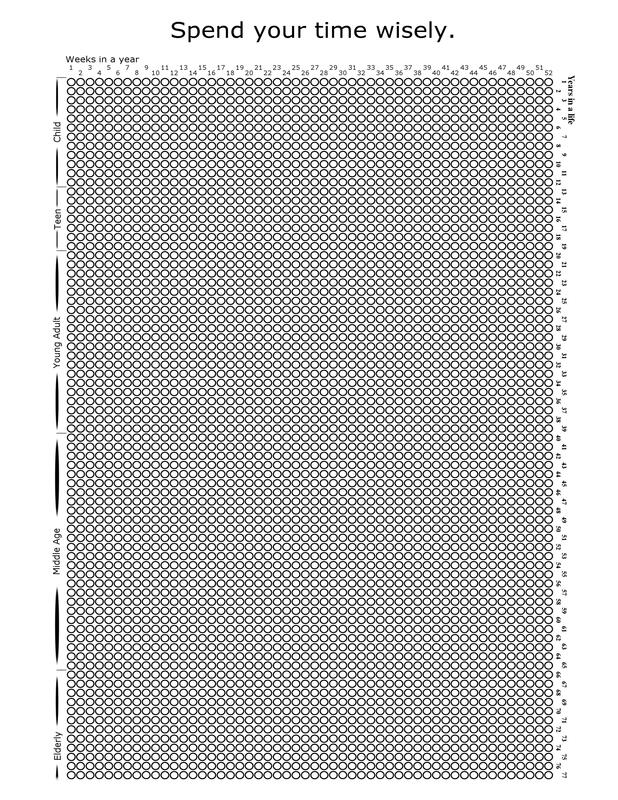 The idea is you fill in a circle for every week you’ve lived. The implied outcome is that you can see how much time you have left to enjoy this life. Many of the comments were negative citing the depressing nature and others about how starting from birth isn’t the correct way to approach this. I encourage you to read it and think about your own goals in life, where you are now, and if that’s where you want to be. All kinds of fun thinking for the armchair philosopher. One commenter made a google spreadsheet that takes your birthdate as input and renders the image for you. Personally, this sort of thing is motivating. I like deadlines (pun intended). No matter what: live your day like it may be your last. The image is based on averages. Watch out for falling meteors! By Bill Dotson|2014-01-24T08:45:49-04:00January 24th, 2014|Personal, Productivity|Comments Off on Weeks to Live: Motivational?